I think these are perfectly valid findings. This is also a problem for medicine as more antibiotics are being prescribed to more people. Anti bacterial cleaner have their place but marketing has been scaremongering for a long time. We like the good old fashion way of soap and water, although we do use antibacterial products too. Thanks for sharing this article with us really makes us wonder what products out there really works. Too much is never enough. I mean that focusing too much on how to ensure healthy surrounding for the family, can end with an epic fail. 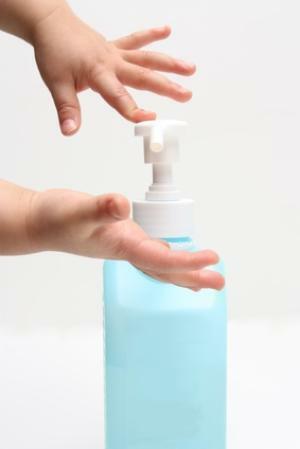 You cannot count too much on antibacterial products. I prefer water and natural soap that kids like. Anti-bacterial products should be used in moderation, just like antibiotics. They are good in some cases, but we don`t really want to destroy all of the microbes and bacteria, because some of them help us. The future of cleaning is the antibacterial cleaning products ! Really knowledgeable article about antibacterial cleaning products, I was looking for cleaning services London and got to this blog. The cleaning industry is really changing very quick and thanks for the new technology updates.